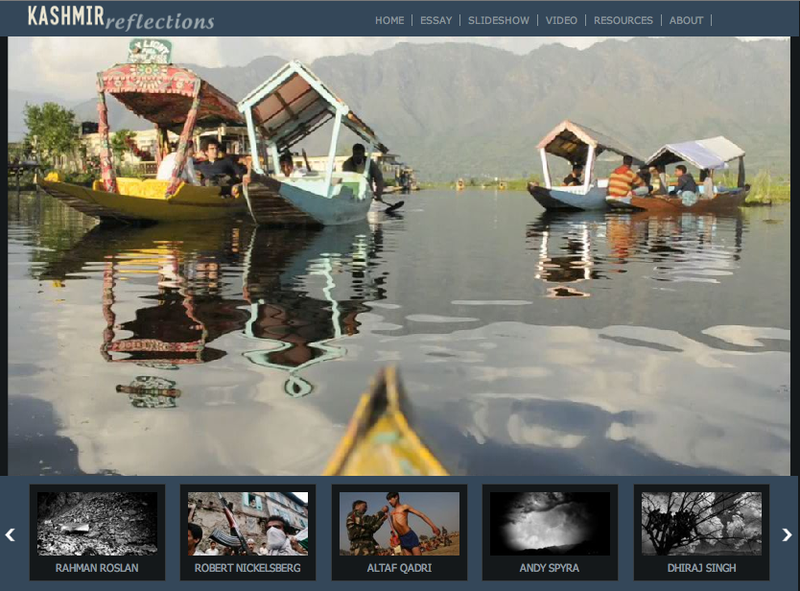 Kashmir Reflections – a collection of multimedia stories about the region of Kashmir. Produced by Ami Vitale, Nick Maslow, and Walyce Almeida. Kashmir, for those who don’t know, is a region disputed by India, Pakistan, and China. It’s diverse in culture, religion, and so on. But I knew absolutely nothing about this area until in grad school I worked on a project about Kashmir. Two of my classmates, Ami Vitale (National Geographic photographer) and Nick Maslow (freelance multimedia journalist), and I teamed up for a grad school class project at the University of Miami – tell a story through multimedia and publish it online. We decided to “create a unique collection of stories through which people could grasp both the beauty of Kashmir and the consequences of the ongoing conflict there.” The project is called Kashmir Reflections. We wanted the stories to come from natives and people who have experienced Kashmir over a long period of time. It was our philosophy that no one can better tell the story neither tell it with all the sensibilities of someone who feels the emotional, personal impact from an international political struggle. If I remember correctly, we got an A! So take a look and feel free to share your thoughts – Kashmir Reflections.